Since the civilization beginning, the granite stone has been considered the perfect stone for construction due its resistance and duration, even when its submitted to weather conditions and corrosive substances. MONDIALARDESIA offers its costumers products, which show a wonderful whole of tones, colors, textures, blends and designs providing countless possibilities of technical artistic the desired purpose. 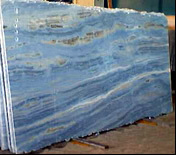 They are supplied in blocks, slabs, standardized tiles and cut under measure, with flamed or polished finishing.